Some estimates say up to 97% of animal life on earth lacks a spinal column. Their range is staggering: from microscopic protozoa to colossal squids that approach 50 feet in length. Insects, crustaceans, mollusks, worms, jellies, and arachnids take on an amazing array of shapes, colors and structures that vary from the beautiful to the grotesque. In January at the Trunk Space, a group of artists display works made in homage to our backboneless fellow creatures. 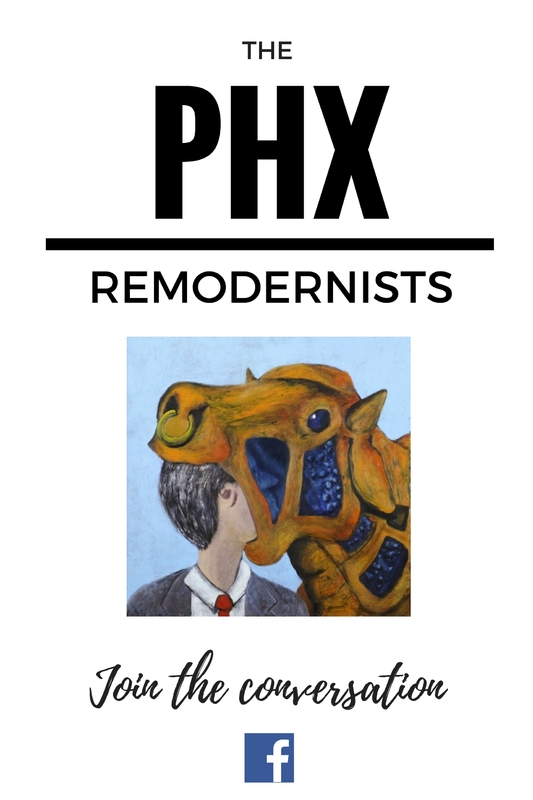 The Trunk Space is one of the best alternative art spaces in Phoenix, Arizona. For almost 12 years now the venue has featured local, national and international performing and visual artists right in the heart of the downtown. I have been fortunate to not only take part in many of the Trunk Space’s monthly art exhibits, I have the honor of being invited to curate shows as well. 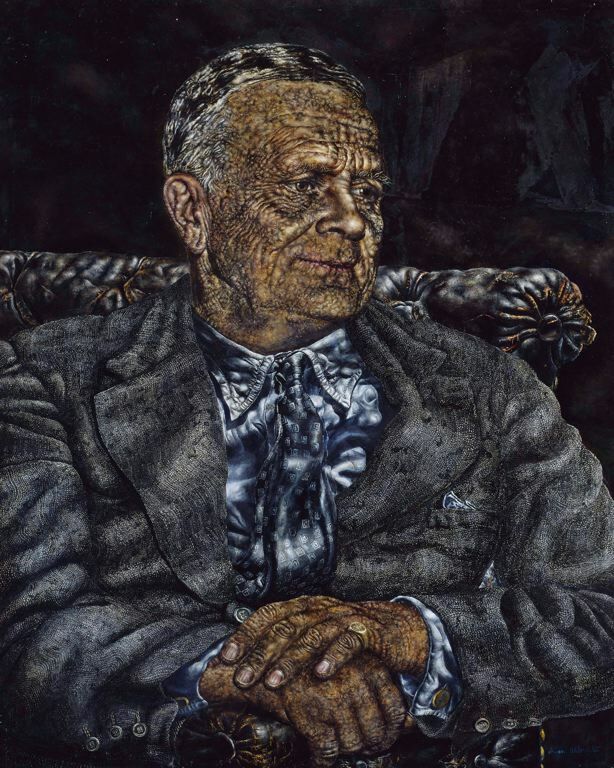 January 2014 was International Stuckists: Explorers and Inventors. 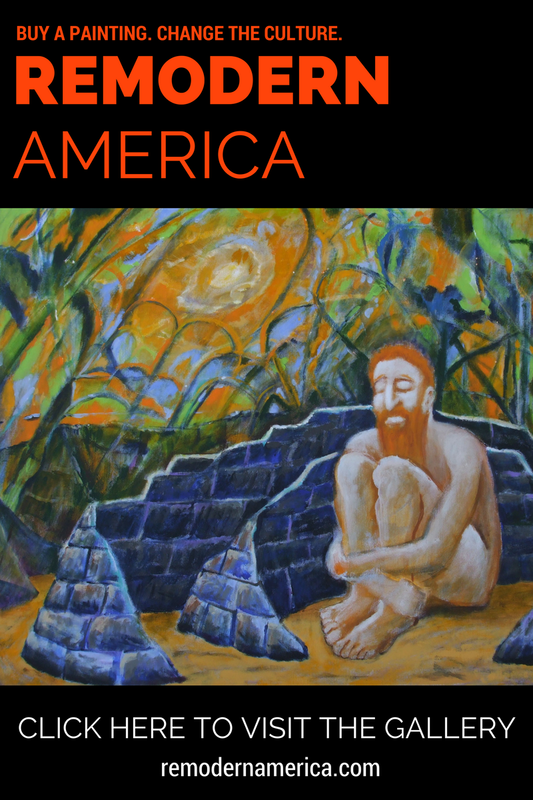 January 2015 featured Booked: Contemporary Literary Art. For January 2016, I was of a biological state of mind. I wanted to paint a jellyfish. What a strange and beautiful animal-but also, potentially dangerous. 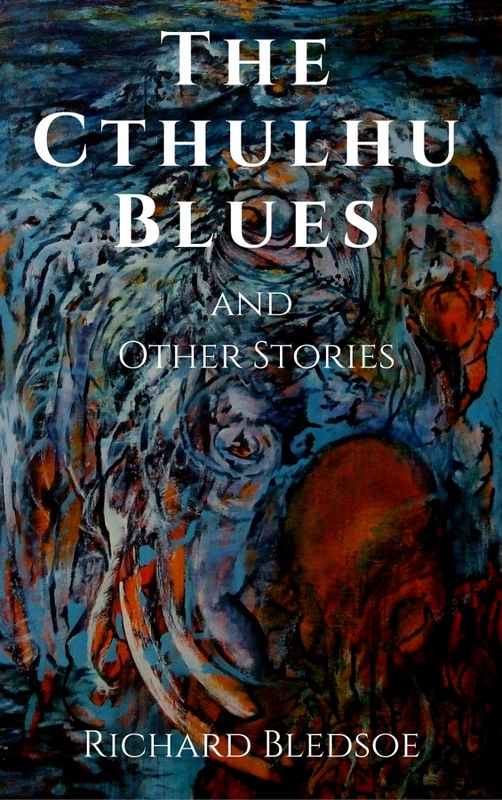 The image of such an exotic creature joined with both the portentous archetypal icons and the B-movie monster mash that are programmed into my psyche, and I knew the picture I had to make. The subject matter of the boneless animal seem to me a intriguing starting point for other artists as well. So many options available. 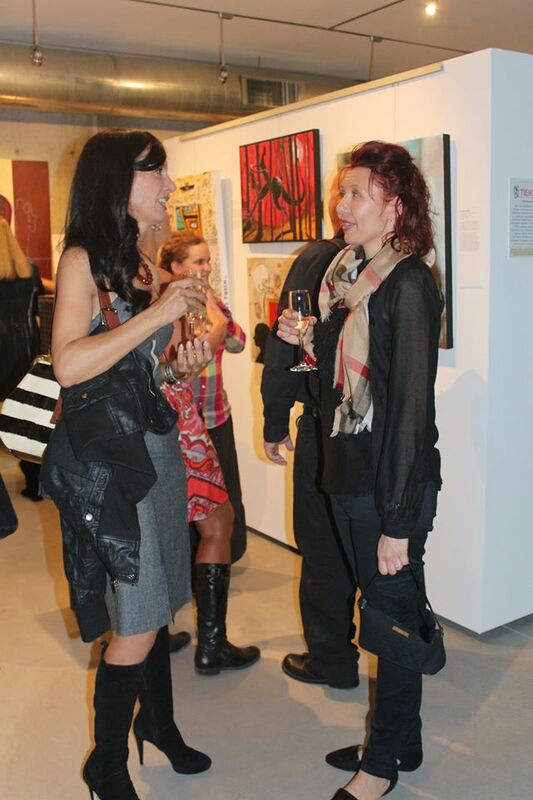 As is standard with my curatorial philosophy, I selected artists, not individual works. I respect the inventiveness of these creatives, and I always find the show comes together best when I invite them to give whatever they feel represents the theme. This show was no exception. Once again, Spineless demonstrates the power of synchronicity unleashed. It always amazes me to see the sheer individuality that inspired artwork displays. The artists of Spineless aren’t just depicting invertebrates. They are showing you something about themselves. It’s a little hard when you are adults, with no kids around, to find the proper level of Christmas decorating for the home. To not decorate at all would be bleak. It would be an unhappy break from a lifetime cycle of excitement and fun around the holidays, as well as missing out on commemorating one of the definitive miraculous events in human history. But to go for an 8 foot live tree with all the trimmings and a giant outdoor display seems excessive. There are other complications as well. Our cats were too intrigued by even the small artificial tree we used for a few years, leading to some unfortunate episodes. And we don’t even have an outlet on the outside of our house to plug lights into. In 2012 my wife Michele Bledsoe came up with a great solution. 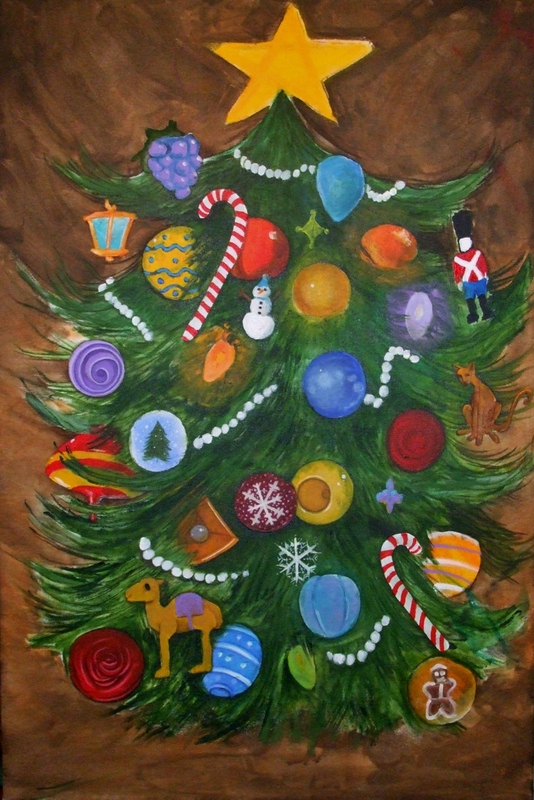 We were both painters-why not make a painting of a Christmas tree that we could bring out for the holiday? Inspired, we made a quick trip to the art supply store and got to work. 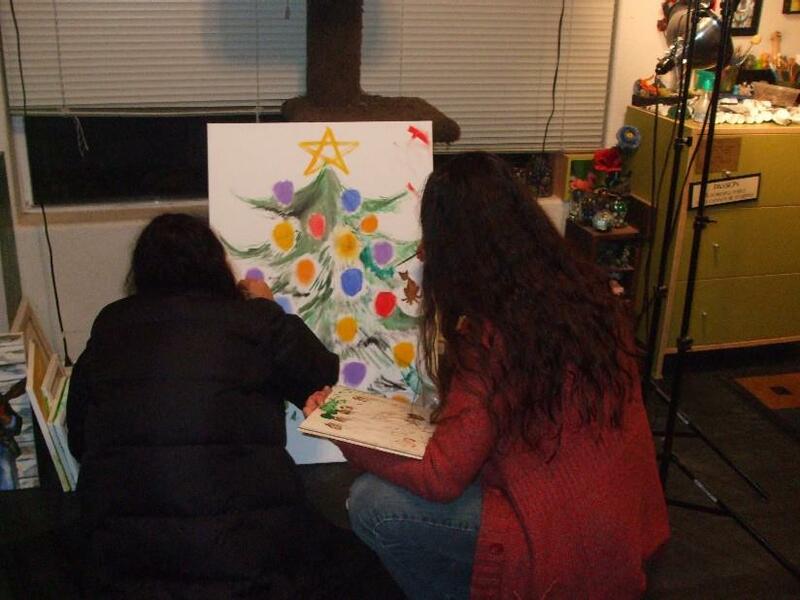 Michele’s sister Sherry Weiss was living with us at the time, and joined in creating the tree and decorations. The idea was just to roughly block in the shapes at first. 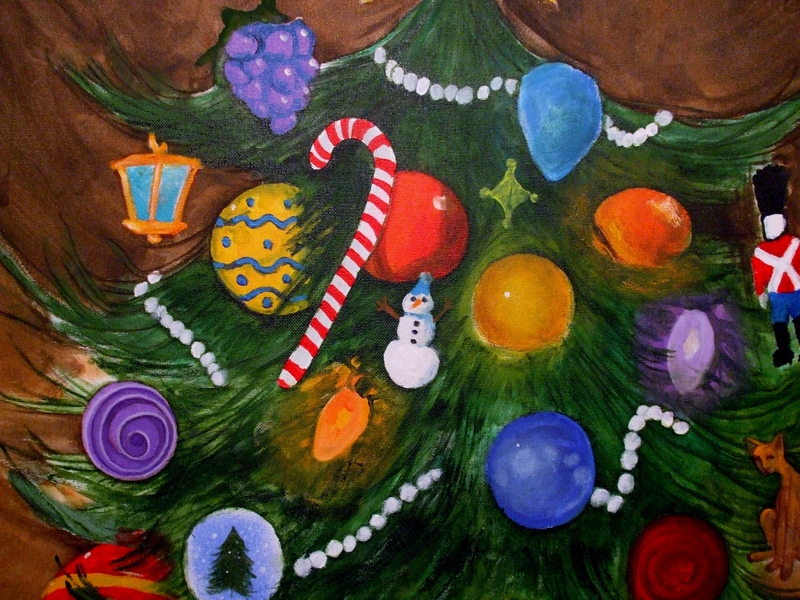 Then, every year at Christmas time when we bring out the painting, we would continue to work on it. Michele took on the role of clean up and enhancement. Since her paintings are so precise and intricate, she excels at getting images resolved. 2015 marks our fourth season of painting on the tree. There’s still room to add new ornaments, and plenty of opportunities to refine the elements we’ve already depicted. We haven’t even touched the background yet. I imagine we will be working on this the rest of our lives. When the tree is not on one of our easels, we put it on our family room floor, surrounded by presents. It’s been a wonderful tradition. And the cats don’t try to climb it. Usually when I go to make a painting I know what the image will be, although I don’t know how I will paint it. As I’ve written before, ideas are presented to me constantly. When I start a new piece it’s just a matter of selecting the one that I intuitively sense is the correct one, the one I need to bring into being for reasons I may or may not understand consciously. But as an intuitive artist it’s important to remain open to the unexpected. A piece I recently completed was not the one I had envisioned in advance. I have in my mental catalog a piece entitled “Petrified Forest.” The details are unimportant, but among the main compositional elements I imagined were reddish tree trunks against a dark background. I started working on this painting and slipped into the beautiful trance state that often comes upon me in the studio. It’s part of my dilemma as an artist. I tend to do my best work in a state of such preoccupation I can’t remember doing it. I step back to look at the painting and I’m surprised by what I see. At my best, I am acting as a conduit of something outside of myself. This time I was really surprised. I had imagined red trees against darkness. 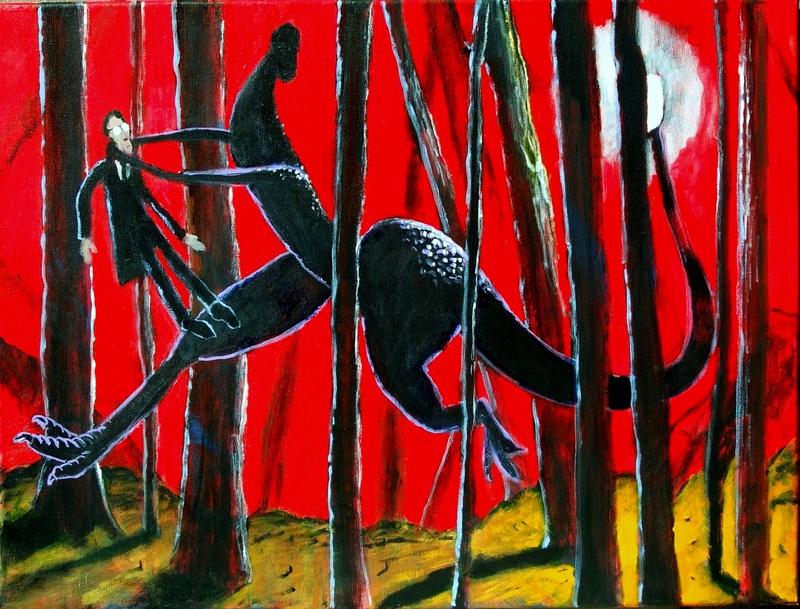 So of course, my under painting had turned out as dark trees on a red background. But I saw something else too. My under paintings are very rough. I just try to cover the whole canvas in paint and block in the major elements very crudely. The brush stokes are very visible during this phase because it’s just a base coat. In the brushy red marks on the canvas I saw suggested a wondrous thing, a most fantastic creature in dynamic action. A new vision came upon me. This painting wasn’t “Petrified Forest” after all. I made the beast black so everyone could see him, and launched him on his frantic sprint through the wilderness. The title became “Inspiration” because for me, this is what it’s like. This is the creative process I have experienced in my life. I lingered over the completion of this painting. But ultimately there is nothing more inspiring that a deadline. When I was invited to to take part on the AZ45 exhibit hosted by Gail and Fred Tieken, I knew this was the piece I had to submit. I finally put the finishing touches on it and it was included in the show. Enthusiasm is the source of inspiration, no matter what surprising forms it may appear in. The art world is run like a banana republic. It’s structured into highly stratified classes. On top, a few plutocratic overlords, catered to by bureaucracies of remora-like functionaries and lackeys, holding sway over struggling supplicant masses of creative hopefuls, all theoretically revolving around the production and presentation of the product Art. The focus of the rulers is not on the art itself. Their purpose is assimilate status, influence and power. Art is just a vehicle for their self-importance. To gain the favor of their masters, opportunistic followers are made to understand to advance anywhere within this system, certain rules must be obeyed, or certain criteria met. Artistic quality isn’t an issue. Under the permissiveness of relativism, anything goes-as long it falls under the approved formulas of the establishment. Any aesthetic concerns are irrelevant compared to adherence to the agenda. Scorn must be directed at the appropriate targets: God, organized religion, patriotism, free expression, Western civilization in general. Claiming grievance confers virtue and enables claims for retribution. Hostility must be displayed towards anyone who does not accept the priorities of the elitists, or rejects the march towards collectivism. The culture industries are just part of the larger problem. Our establishment is enforcing a tyranny of oikophobia, the disdain of our heritage and traditions. From their strongholds in the media, academia, administration and the arts, they are applying their unified efforts to clear the slate of society for the Great Leap Forward: a jump right back into feudalism, where the new aristocracy of the well-connected will be secure in their unaccountable power. But since the language of morality is used to disguise their authoritarian ambitions, it creates some confusing contradictions. Today’s establishment is a sorry display of hypocrisy. 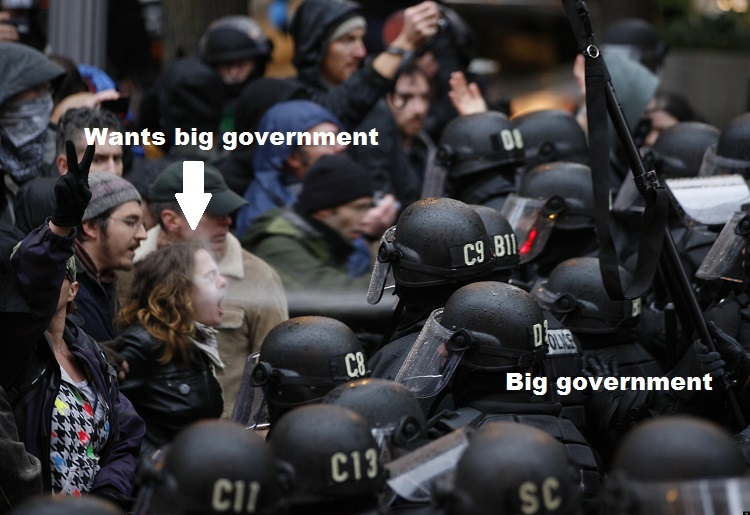 They are bigots for Tolerance, Anarchists for Big Government. They are so open minded they demand any dissenting viewpoints must be censored out of existence. The perpetrators acknowledge no paradox though, as the self-regard gained by espousing and conforming to the correct views overwhelms self-awareness. Being reduced to a tool for subversion has been very damaging to the relevance and achievements of the contemporary art world. With all this non-art related dogma assuming primacy in the culture industries, contemporary art is bereft of inspiration. Cut off from eternal sources of creativity by ideology, to compensate the art world has veered into a surprising dead end. Much of establishment contemporary art has become an inverted cargo cult. 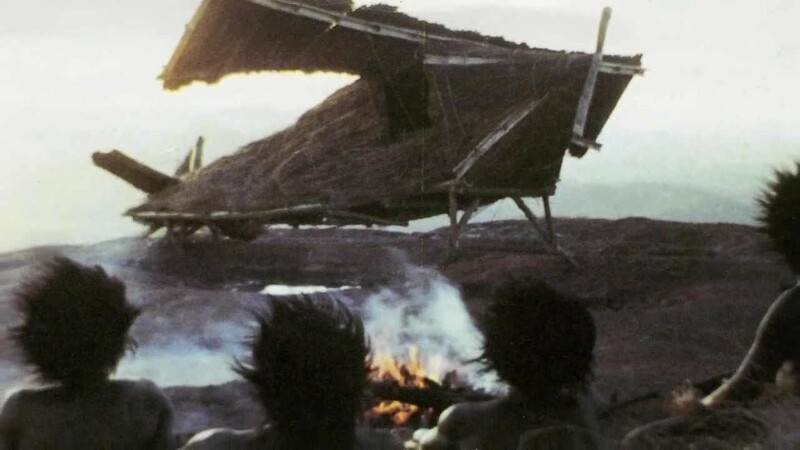 The phenomenon of the cargo cult originally was observed when the primitive tribal societies of the South Pacific encountered the advanced cultures of the West. It reached a pitch of religious fervor after World War II. The industrial manufactured items of the newcomers amazed the remote villagers of islands like New Guinea and Tanna. The strangers from over the sea brought with them riches in the form of machines and goods-airplanes, tools, medicines, canned food, radios and the like-made from materials incomprehensible to what were practically Stone Age people. The tribes decided surely such wonderful items must be made by the gods. As battles raged in the Pacific, the indigenous populations observed the soldiers at work: marching around in uniforms, clearing runways, talking on radios. In response the planes arrived, seemingly from heaven, bringing to the islands the massive quantities of materials needed for the war effort. To the natives who got to share some of the magical items, this treasure-the technological output of developed nations-came to be referred to collectively by the pidgin word cargo. But when the war ended, the soldiers left. The flow of magic cargo ceased. The tribesmen had lost access to the gifts from the gods. The abandoned natives developed a plan to get back into divine favor. Having no frame of reference for the ways of the modern world, they interpreted the activities of construction and communications the visitors performed as forms of ritual. 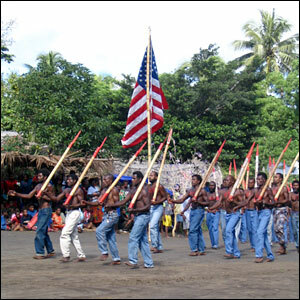 The tribesmen would reenact the rites they had seen the foreigners perform, recreate their ceremonial objects. This would please the gods, who would start delivering the cargo again-but this time, to the natives. The islanders designed outfits based on military uniforms. They drilled in cadence, carrying rifles of bamboo. They built wooden aerials, constructed mock radios, clearing landing strips in the jungle, placed decoy planes of straw on them. And waited. Some are apparently waiting still for the gifts to start descending from the heavens. Educated by missionaries, the natives explain if the Christians can wait two thousand years for Jesus to return, the natives are willing to give the cargo gods a few decades to respond. The natives of the South Pacific were practicing a type of sympathetic magic. This concept of sympathetic magic was explained in Sir James George Frazer’s The Golden Bough: “From the first of these principles, namely the Law of Similarity, the magician infers that he can produce any effect he desires merely by imitating it.”By going through the same motions witnessed in the people who received the cargo, the tribes believed they could summon the same effect: the bestowal of divine treasure. To our rational minds this is preposterous. We understand the uselessness of evoking the facade of a machine without the necessary functionalities being incorporated into it. What matters is the inner workings, not the appearance. And yet, a form of this magical thinking has infected contemporary art. The subservience of art to political issues derails the purpose of the artist. 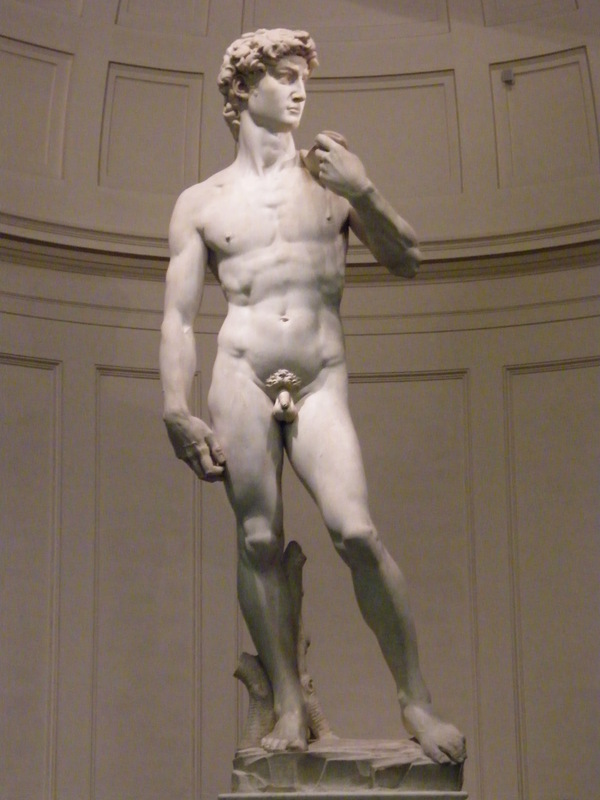 The prevalent dogma interferes with the discovery of a personal artistic vision. 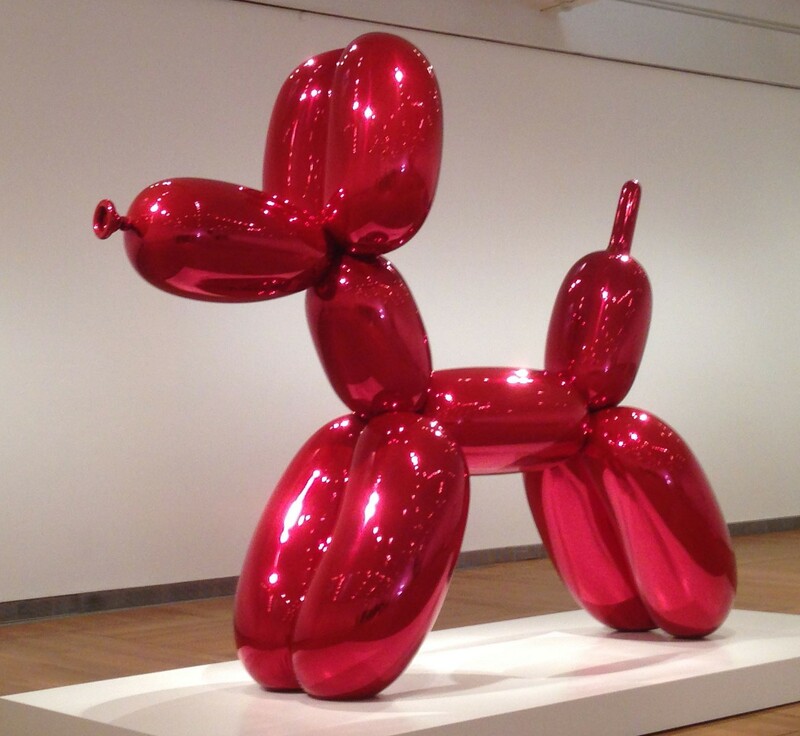 So contemporary artists attempt to imitate their way into a valid artistic experience. In a stunning reversal, in our advanced technological society, artists uncomprehendingly recreate inferior approximations, parodying the objects and gestures of the past and the primitive, trying in vain to summon the sense of awe and wholeness present in the art of bygone ages. By mimicking and mocking the outer forms of the originators, the artists hope the gods will arrive bearing their eternal gifts-that these snotty knock offs will also rise to the level of art. The art market had been degraded to flim-flaming hucksters who hire teams of technicians to create overwrought and overpriced versions of cheap gags. This is still art, the so-called experts assure us. But who the hell are they? Just some more cult members, in on the take. They have destroyed their own credibility. By embracing methods of pastiche, a tone of irony, and a poorly concealed lust for power, today’s establishment artist can have no more success in creating a legitimate art for this time than the Pacific Islander can succeed in summoning a fleet of airplanes using his hand carved radio. The South Seas native can be forgiven for his mistaken views on cause and effect. After all, his people were incorporating an enormous dislocation imposed from the outside, and the sudden end of a timeless way of life. Harder to explain is why our people, in an age of unprecedented resources and information, seem to have so little insight to add to the human condition. The twisted motivations of the ruling establishment, their pursuit of unmitigated control, has of course been a huge impediment to our development. The proselyting elitist art establishment needs to be cleared away, bypassed. A great future lies beyond the collapse of the corrupt syndicates that have plundered our culture to further their political aims. 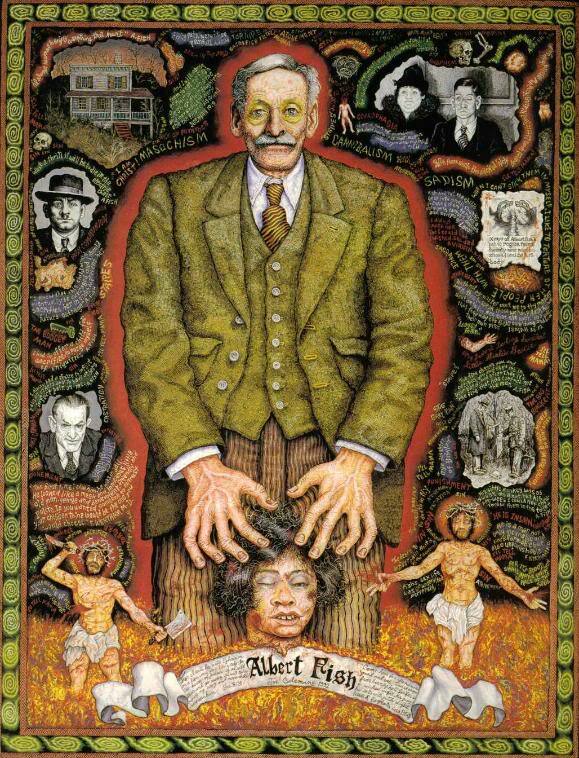 The Remodernism Manifesto of Billy Childish and Charles Thomson eloquently described the way forward. “A true art is the visible manifestation, evidence and facilitator of the soul’s journey. Spiritual art does not mean the painting of Madonnas or Buddhas. Spiritual art is the painting of things that touch the soul of the artist. Spiritual art does not often look very spiritual, it looks like everything else because spirituality includes everything. Without the massive misdirection of focus of the preceding decades, what could artists be capable of these days? He painted reality with such intensity it became hallucinatory. 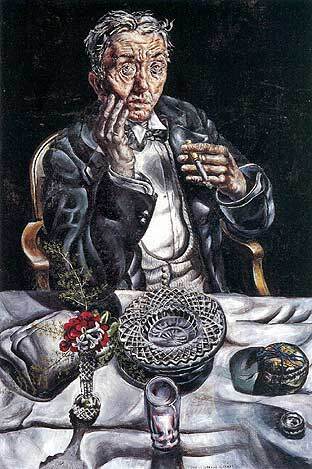 His obsessive details, painstakingly methodical methods, and preoccupations with darkness and decay led to a low output of paintings and a small audience of admirers. 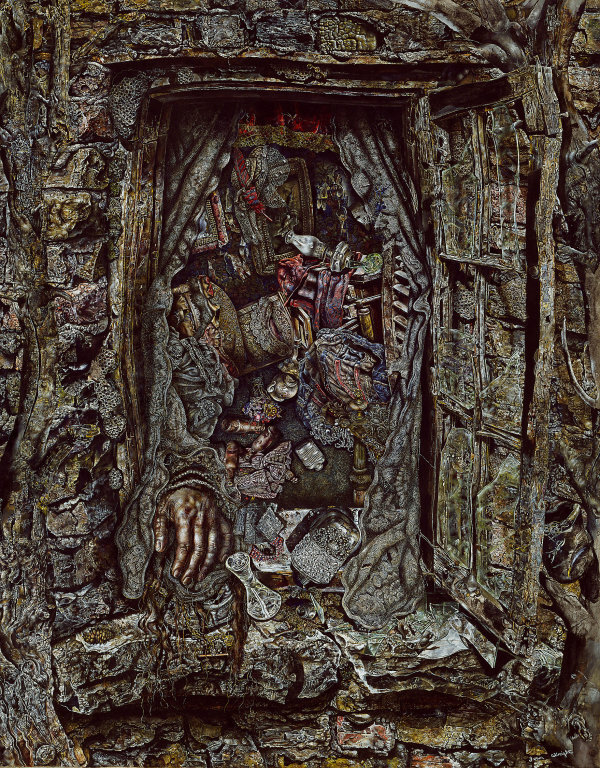 But Ivan Albright (1897-1983) was a true American original, a visionary painter of the uneasy melding of body and spirit in our fallen world. He saw horrors first hand as a medical illustrator during World War One. 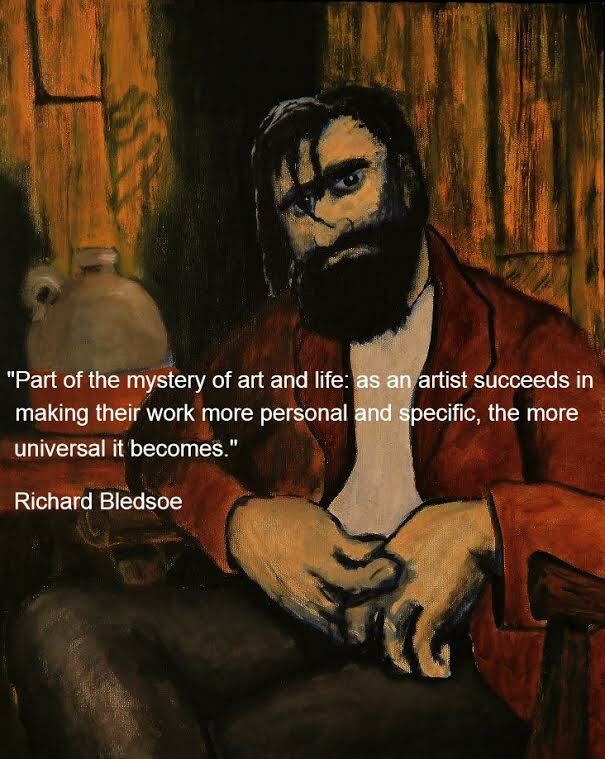 He spent the rest of his life seeking to perfect his skills, always striving to bring greater focus and forceful presence to his paintings. He had a brush with Hollywood fame, rendering a ghoulish Technicolor monster for the climax of Oscar award winning film “The Picture of Dorian Gray” (1945). 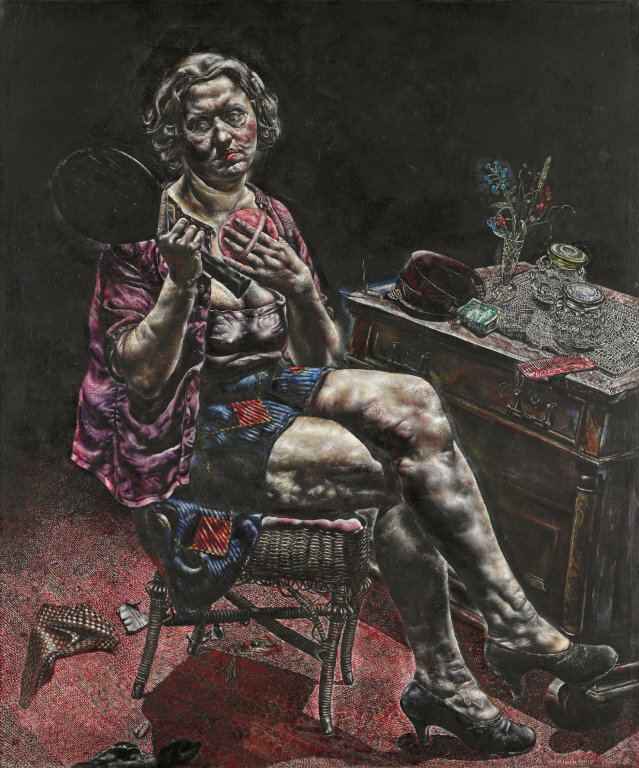 But mostly Albright worked on his own private concerns, using a palette the color of bruises, ashes, and mold, with imagery that was resolved with almost microscopic intensity. Contemporary artists like Joe Coleman may strive to follow in the master’s traditions, but they always straddle the finely rendered line between homage and mere imitiation. 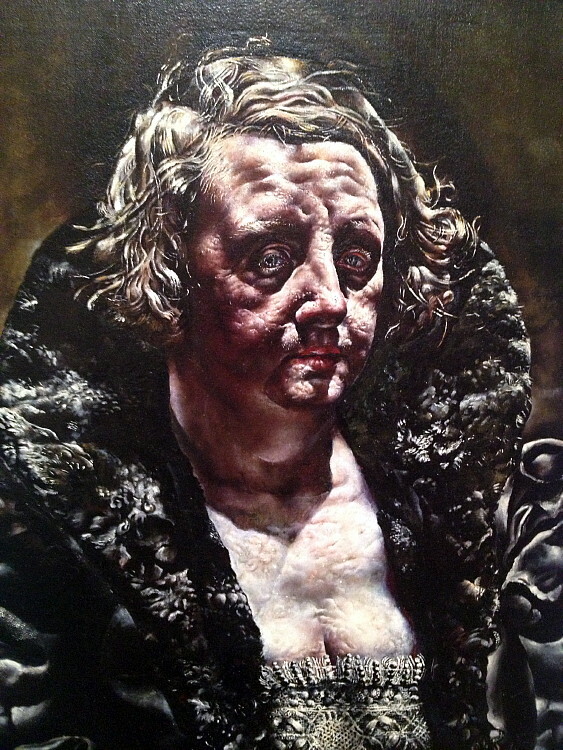 In addition to creating stunning paintings, Albright contributed his own taciturn kind of wisdom to art and life. 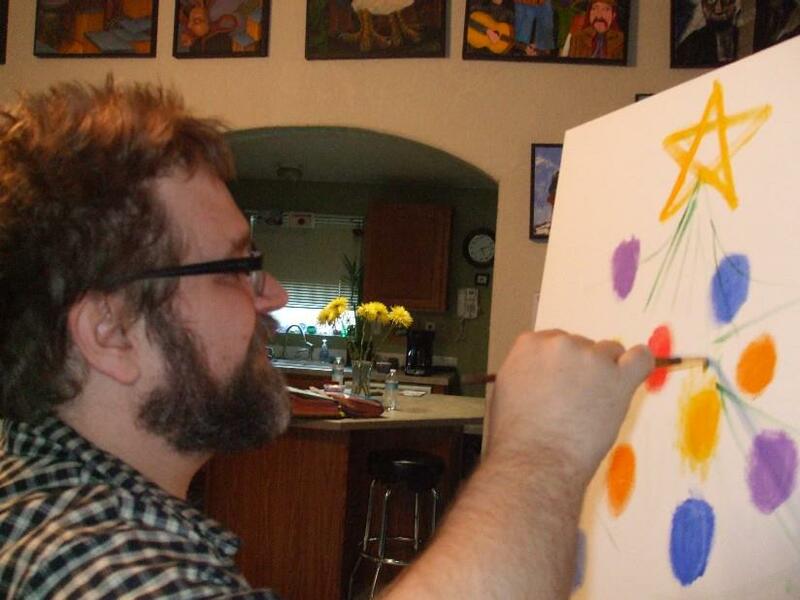 The consistency of his ideas make sense alongside his paintings. His quotes have the same kind of deadpan existential fascination as his visual creations.